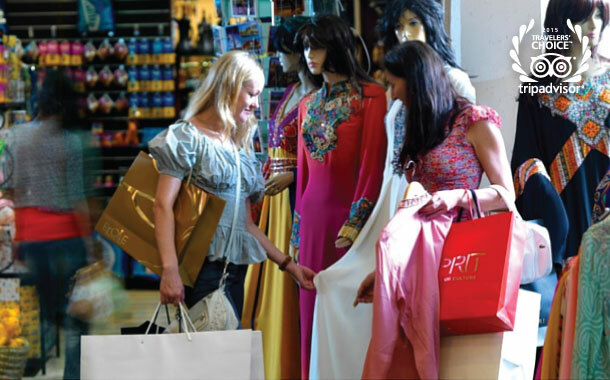 Dubai is truly a shopper’s paradise with a plethora of options offering almost everything - you name it and you get it. People from various parts of the globe, get their Dubai visa, hop on a plane and flock here to shop for gold, diamonds, perfumes, shoes, luxury items, electronics, designer labels, carpets and spices. 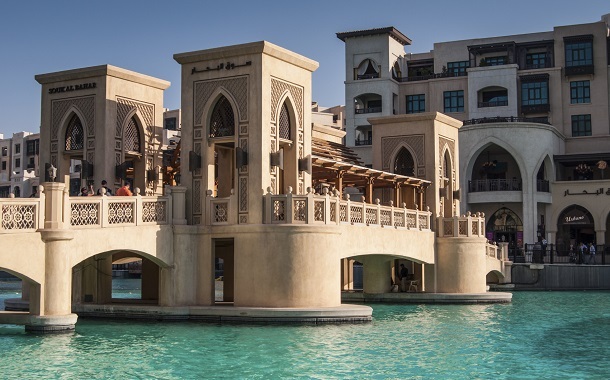 You can either venture out to its large opulent shopping malls or visit the souqs, any which way you are sure to be captivated by the delightful aura of this hotspot. For shopping at the malls, you must visit them between 10am to 10pm, but you can’t bargain here, the prices remain fixed. Between Thursday and Saturday, these malls remain open till midnight while some of them may remain shut on Fridays till 2pm. The souqs are open from 10am to 10pm while many of them are shut in the afternoons from 1 to 4pm. The Dubai Shopping Festival (DSF) is the most happening event where you can avail of unbelievable discounts. For all you gold lovers and bargaining experts, Dubai- the City of Gold has to be your destination. 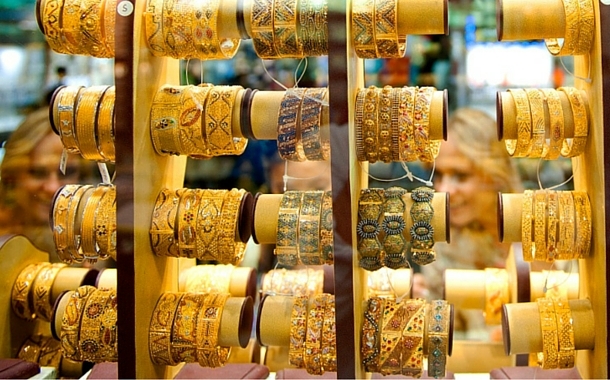 The Dubai Gold souq is lined with a number of fascinating shops offering gold bars and gold jewellery. It is situated in Dubai's commercial business district in Deira. Here you can make use of your bargaining expertise and grab some unique pieces of necklaces, bracelets and bangles at reasonable prices in this tax free shopping haven.This place will delight you with a lot of varieties and designs. So, you can take your own time, choosing from the myriad options and satiate your gold lust. Do plan your trip to Dubai during the winter months of January/February and while you soak yourself in the charming weather, be part of the popular shopping festival. You can shop for electronics, perfumes, carpets, jewellery, clothing, watches, art and crafts at the malls. If you are lucky, you can grab the products with nearly 75% discount on them. Discounts on brands like Gucci, Versace and Armani will tempt you to indulge in this delightful extravagance. The whole of Dubai is bustling with enticing music concerts, kids events, fashion shows, raffle draws, street fairs with food stalls and night fireworks. You could also hop to the Global Village adorned with carnival atmosphere which is located on the Sheikh Mohammad bin Zayed Road. Here you can buy some amazing artifacts from the various pavilions. Each pavilion displaying beautiful items from their country. Standing tall in Downtown Dubai, the Dubai Mall is home to approximately 1200 stores and is the world’s largest shopping mall. This fascinating mall attracts the travellers with its opulent interiors, magnificent aquarium, huge ski-rink and large number of food outlets. You will be delighted with the luxurious collections here, which include popular brands from across Europe and the US. Shopping in this mall is truly an overwhelming experience which transports you to an elegant era. 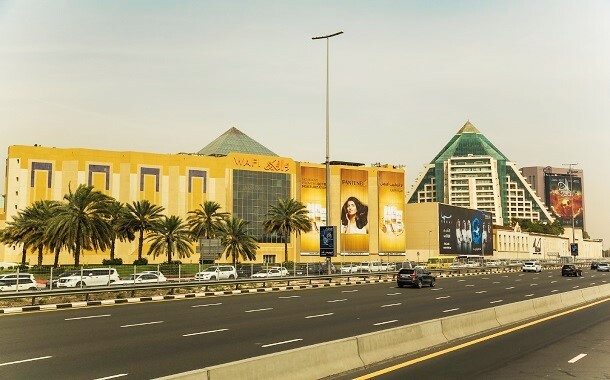 Located on the Sheikh Zayed Road, Mall of the Emirates, the luxurious shopping centre, is home to approximately 560 international brands, more than 700 stores and 11 anchor stores. The anchor stores at this mall include Harvey Nichols, Marks & Spencer, Carrefour hypermarket, Debenhams, Centrepoint, Jashanmal and Home Centre. Adorned with shimmering marble floors and spacious avenues, this mall offers retail options from high street to haute couture. If you are looking out for some stunning collections related to fashion, sports, lifestyle, electronics, jewellery, watches, furniture, cosmetics or perfumes, then Mall of the Emirates should be your destination. The glorious Wafi City adorned with columns of pyramids, images of Pharaohs and a vast dome will delight you with the ancient Egyptian charm. The key highlight of this city is the Wafi Mall which comprises of more than 200 stores. At this mall, not only will you find fabulous regional boutique stores but also luxury brands like Chanel and Givenchy. The gourmet lovers can visit the Wafi Gourmet in this mall and grab some mouth-watering pepper, cheeses, olives and pickles. This mall also houses the souq Khan Murjan which is popular for its mind-blowing collections of lamps and other inspiring artifacts from the Arab region. Along the Dubai creek lies the exotic Bur Dubai souq which houses colourful fabrics and textiles originating from India and the Far East. While you shop here for some interesting fabrics, you could also visit the nearby streets to explore sari shops, tailoring shops and jewellery stores. Ibn Battuta Mall, the world’s largest themed shopping mall on the Sheikh Zayed Road, pays tribute to the Arab traveller, Ibn Battuta. As you step inside the mall, you will be mesmerised by its architecture and theme, influenced by regions travelled by Ibn Battuta, which include India, Andalusia, China, Tunisia, Egypt and Persia. It is home to over 270 shops and captivates the visitors with its vibrant ambience. Retail zoning is a blessing here which ensures a delightful shopping experience. Family & Convenience, Up-Market Brands & Lifestyles, Entertainment & Leisure and Major Department Stores are the four sections, from which you can choose, as per your shopping needs. Situated in Dubailand is the happening Dubai Outlet Mall. Home to more than 200 stores, this haven is popular for its collection of best brands at unbelievable discounted prices. If you are looking for some fantastic clothes, sunglasses, sportswear, shoes, electrical goods, toys, perfumes cosmetics or watches, then head to Dubai Outlet Mall and satisfy the shopaholic in you!